Applying for a non-recourse loan is essential to purchasing a property that can be turned into a rental. You can own a rental property (and use a non-recourse loan to help obtain it) in any of the 50 states, but many people wonder: What kind of rental property should I set up? Do I want to have a vacation rental, or a long-term tenant rental (such as a property where tenants pay rent and partake in a lease agreement)? Our non-recourse loan lenders are here to guide you in figuring out which kind of rental property you should invest in, based on the location of your rental property. There are so many options, that it can help to get some ideas that can narrow your decision down. Find out what kinds of rental properties you should consider based on location, and apply for a non-recourse loan today with First Western Federal Savings Bank! A tenant rental situation is the best option for you. Every year, there will be thousands of new students coming into the region, and thousands of students will be looking for housing. You can meet the demands of the student population by having a rental house, one that can either accommodate multiple people on the same lease, or potentially be broken up in a way that fits multiple leases — though the latter option might require some renovations, and as one reminder, a non-recourse loan cannot be used for home renovation and construction. By being an excellent landlord and property owner, word of mouth and online reviews will spread like wildfire — ensuring you’ll have plenty of tenants for years (or even decades) to come. A vacation rental property might be your best bet, depending on what the region has to offer. Even the most remote of properties could be a beautiful destination for someone who’s simply trying to get away — and if you make your vacation rental an especially unique point of interest, this is sure to attract people from near and far. You should make your rental property one that’s set up with a long-term (year-long) lease. Houses are expensive to buy and out of budget for many people these days, but that doesn’t mean they don’t want to live in the suburbs. Whether it’s a family looking to put their kids in a good school out in the suburbs, or a couple with jobs in the city who have no desire to pay for big-city living, your rental property is sure to be right up their alley. One thing you could consider that would be especially attractive for people looking to rent in the suburbs is offering a rent-to-buy option. This is great for people who want to rent for now, but are intending to buy a home at some point, and fits well with the demographic of those leasing a property in the suburbs. You could go for a vacation rental or a tenant-leased property, depending on a few factors. If you’re right by some tourist hot spots, there’s huge advantage to going with a vacation rental — it’s probably unlikely that people looking for a rental home are wanting to live near all the tourists. If you have an amazing house in or near the downtown area, you could turn this into a vacation rental, but people looking for long-term property rentals are likely going to be more drawn to this living situation. They’ll have all the comforts of living in the city, in a way that feels more authentic than living near the touristy parts. In terms of profits, you’ll make more per day for your vacation renters than your long-term tenants — some vacation rentals are between $100-$250 a day, whereas rental homes are several hundreds or a thousand or so a month. However, you could make more consistent money off of tenants, especially if the city your rental property is located in has any slow periods, with significantly fewer tourists. All are things to consider when determining if your rental property should be used for a long-term renter or for guests on vacation. Definitely go for a vacation rental. Whether you’re 30 minutes outside of Mount Rushmore, or your property is right on the beach, you have something that tourists and travelers are specifically looking for. They want a spot that’s conveniently located to their ultimate destination, and you can absolutely meet their demands by turning your property into a vacation rental. Similarly, you can make your property the landmark. A cabin in the woods, away from everything and everyone, or a quiet farmhouse that leaves all the hustle and bustle behind are often exactly what people are looking for. 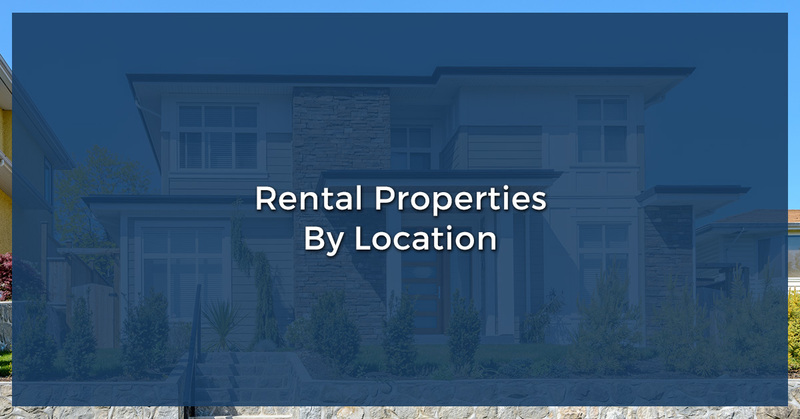 No matter where your rental property is located, there’s so much potential for it to the serve its purpose, and generate some added income in the process. The non-recourse loan lenders at First Western Federal Savings Bank can help you get your rental property goals started by supplying you with an IRA loan. When you meet the requirements of both the rental property loan and your self-directed IRA, you’re well on your way to making your real estate investments happen. Submit your application today with First Western Federal Savings Bank!